Wow! Summer vacation is almost over and you know what that means: The annual back-to-school shopping trip! It is the time of the year that parents cheer and jeer about at the same time because the kids will going to school, but us parents have to get their gang of kids together to get everything they need for the big day. Whether this is your first back-to-school shopping trip or your hundredth, it can be a bit daunting. After a few cracks at this scavenger hunt, I have come up with a few tips and tricks that makes this yearly shopping trip a little easier for me and my caravan of kids! 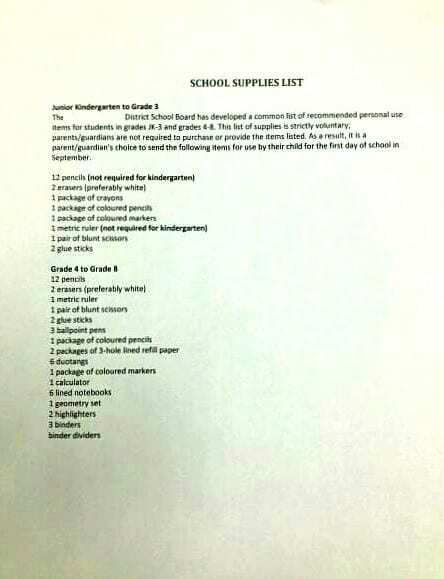 Many of the school boards where I live are thoughtful enough to provide a general list of supplies students in each grade will need for the school year they are entering. If it was not provided in your child’s report card, or your child is entering a new school, you can always check out your child’s school board’s website to see if it is posted there. Once I have gone over this list, I then like to see if I still have some of these items around the house. We tend to buy extra, you know, just in case my child looses or runs out of these supplies during the school year. This way, you could be saving yourself some money on items you do not need. Where clothing is concerned, I like to rummage through my child’s closet with her and so a fashion show to see what fits and what needs to go. For those items that do not make the cut, I like to either donate them to places where other families can use what we no longer need. Some of these places are the Canadian Diabetes Association’s Clothesline, the Salvation Army Thrift Store, Goodwill Donation Centres and to Parenting Groups on Facebook! I love getting my daughter involved in this part of the back-to-school process, too! 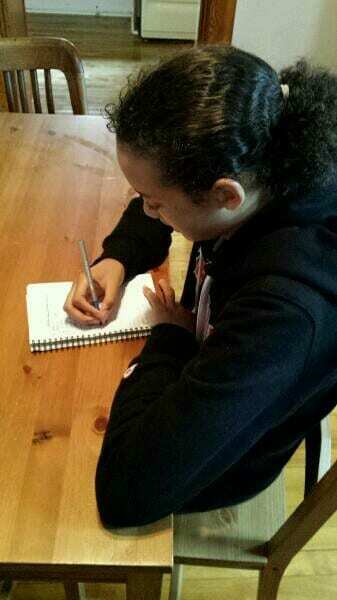 Since she is old enough to write, we go over what is needed based on what we have or did not have from Step #1. For tech-savvy people, you can do this in your task manger or note pad app on you smartphone or tablet so you can refer to it while you are out. For a low tech option, you can write this list out the old fashion way by using pen and paper and carrying the list with you this way as well. Now that you know what you need to buy for your child for back-to-school, do you know where you want to go to get what you need? This is one of the times of the year when retailers are BEGGING for you to spend your hard earned dollars in their stores! They have sales, deals, coupons, both in-store and online to get you to entice you to shop there. Just about everything you would want for back-to-school will be on sale at one store or another. It just all depends on what you are looking to buy. Based on the deals you found, or did not find, figuring out where you want to shop is the next order of business. Knowing where you want to get everything you need to buy for back-to-school before actually going out to buy these items could save you valuable time and frustration. As well, checking out the floor plan of the store is a great idea, so you can park at the closest entrances to wherever you want to shop, and you will know where everything is before going there, so you will not get lost. I know this is hard to do because, well, it’s shopping, and something always catches your interest, but should keep your eye on the prize and, try to, just back-to-school shop. If you are shopping for more than what you child needs for school, then try to buy what is on your list first. That way, you have what you have gone out shopping for, and you can then go after other items you need on this trip, or those flights of fancy you see in the store. This step is really hard for me because I like looking around stores for things, especially for items like baby clothes, electronics and jewelry! If you are an online shopper, you can even skip going into the stores, and just shop from the comfort of your home! This way, you are avoiding line-ups, and everything gets delivered to your door! Once the back-to-school scavenger hunt is over, one way to make sure your child is all ready for the big day is to get their bag packed. If your child is old enough, you can have them pack what they need for their first day of school into their back pack. If they are too young to know what they should put into their bag, you can have them help you pack their bag. 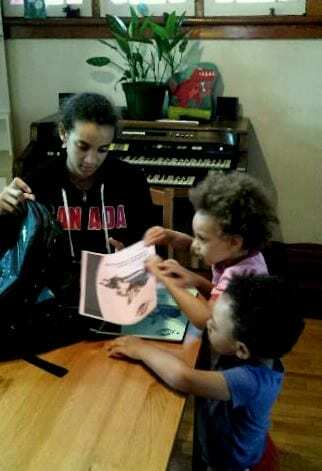 My little ones are too young for school, but they like helping with packing things, so they can give my eldest a hand with what she needs to put in her back pack. 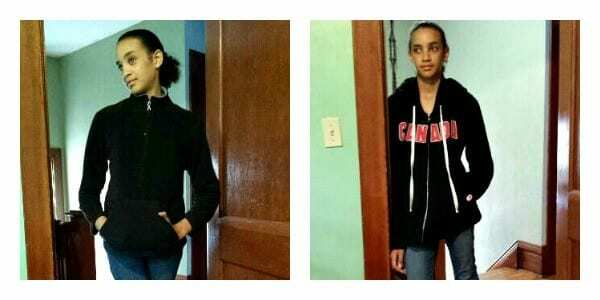 Where the new back-to-school clothes are concerned, have them pick out what they would like to wear from what you’ve bought (getting your approval, of course), and have them set them aside so they will be ready to go on the morning of the first day of school. It is just one less thing for everyone to have to think about when all of the chaos ensues on the big day. Those are my tips and tricks for back-to-school shopping. It took me a while to get into a groove of making this whole process go a smoother, and it also takes a bit of the stress off of me for getting what my child needs every September. I hope that these steps for back-to-school shopping can be useful for you, too! Lots of good tips for all the back-to-school parents. Thankfully that is all behind me now 🙂 Having 7 children meant it was always a huge task. Hi KD! Yes, a list is ever so important when doing back-to-school shopping! I would not know where to start without one! I would not make it through BTS shopping without a list! You’re right, Victoria! Doing BTS shopping blind would be a nightmare! Especially if you bought a whole lot of items you found out later taht your child did not need! Thanks for commenting! We all know that the start of the new school year is very stressful. I remember well the pack of nerves I had …many years ago. Hey Maria! As a kid, I didn’t remember BTS shopping being so stressful. Now that I’m on the other side of the coin, I wonder how my mom did it without a list…yet another thing to thank her for! 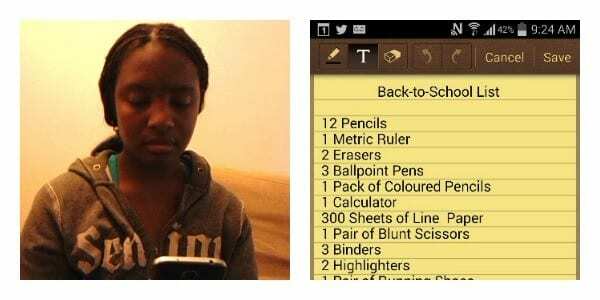 All great tips, I also like to try and set a budget for Back to School shopping so we don’t get carried away. I have my sons go through what we have at home first and mark it off their lists from school. We then take their lists to the store and they find what they still need and check it off as we go. We also buy extra of sale items I know they will need for other years. They double check at home when they pack their backpacks. You have great tips that make it all easier and with less hassles! That is another good idea, Anna! Kids either loose things or run of school supplies throughout the year, and it is handy to have extras on hand. I would do it just my love of stationary. Time to start shopping for school,another year has come and gone now to get ready for September.